Oh, the weather outside is frightful, and no matter just how delightful the fire may be, winter brings with it unique challenges — particularly for seniors. Between falling temperatures and shorter darker days, the cold weather season can tempt many older adults to hibernate until spring. Unfortunately, lack of physical and mental activity during this time can lead to some detrimental outcomes, including everything from loneliness to a higher risk of developing Alzheimer’s disease. 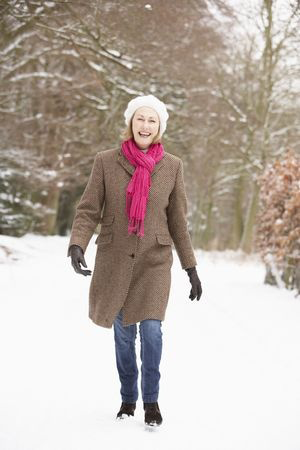 If you're wondering how to help seniors stay active in winter, you're not alone. The good news? There are many ways to support the health and happiness of aging loved ones throughout the year, starting with the following four tips. 1. Invest in winter attire. An old Norwegian expression goes, “There’s no such thing as bad weather, only bad clothes.” While it’s wise for seniors to avoid venturing out when it’s icy, snowy or unusually cold, general winter weather is no reason to stay inside. Warm clothing, including hats, gloves, and scarves, can keep seniors comfortable, while shoes with good traction prevent falls. An extra reason to send seniors outside when the sun is shining? They’ll also soak in some critical vitamin D — an essential defense against brittle bones, low immunity, cognitive decline, depression, and many other health issues. 2. Schedule plenty of opportunities for socialization. 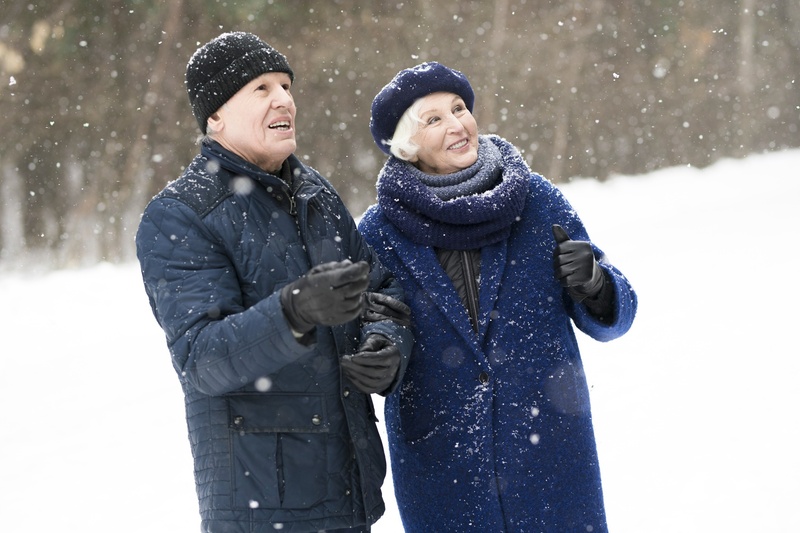 Many social events stop in winter, which can lead to loneliness for seniors. To prevent this from happening, make sure your aging loved one’s social and emotional needs are met by scheduling regular social engagements with friends, family members, and neighbors. Lunch dates, book clubs, and knitting groups are just a small sampling of possible activities for older adults. 3. Encourage older adults to get up and move. While a brisk winter walk benefits both body and soul, it’s not always possible in snowy weather. This doesn’t have to be a sentence for sedentariness, however. Encourage your aging loved one to take a fitness class at the local senior center or to try an at-home strength training or stretching class. Even moving more around the house while vacuuming or dusting can be enough exercise for older adults. "New mobile devices can facilitate easy, longitudinal monitoring and documentation of their own health status." Many older adults also find that fitness trackers add an element of fun and motivation, and the research backs this up: “Especially for older individuals, new mobile devices can facilitate easy, longitudinal monitoring and documentation of their own health status,” concludes a study published in the academic journal, Digital Health. But perhaps the best way of all to get a reluctant senior to exercise more? Join them. A trip to an indoor retail area, museum, or garden can make for an active day. Cincinnati’s Krohn Conservatory has a beautiful garden space indoors, but even a home improvement store with a large garden section can be a good option. 4. Give the brain a workout, too. Physical exercise is just one way to stay active. Exercising the brain is also vital. While the research is still out on “brain games,” scientists agree that there are other effective ways to improve memory, focus and reasoning skills. Proven pro-brain health strategies including building new personal relationships, taking classes, studying a foreign language, exploring hobbies and volunteering. Arts and crafts, puzzles and even card games can also boost brain health. One last thing to keep in mind: While seniors often hope to age in place, the reality of doing so does not always measure up to the fantasy. As a result, many older adults end up feeling increasingly isolated and alone in their golden years. 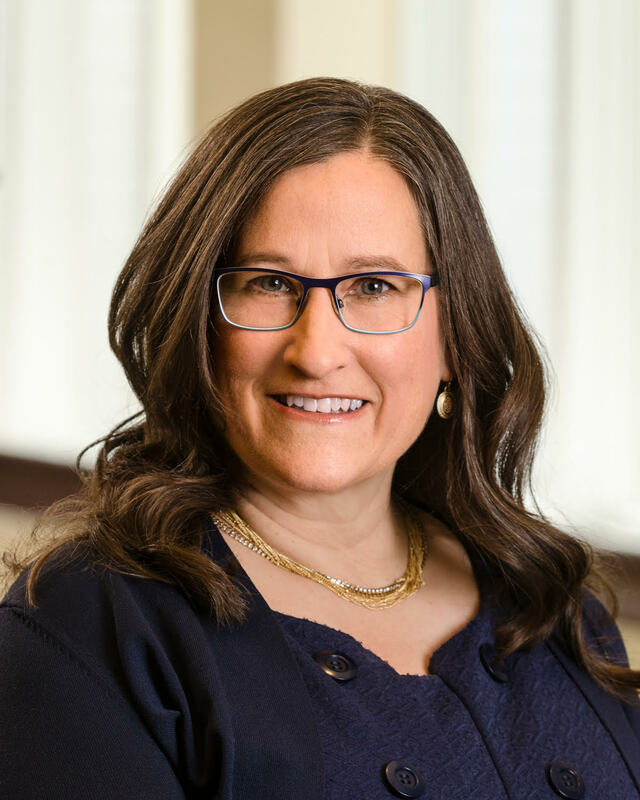 Retirement communities, like Marjorie P. Lee, offer an array of amenities, wellness programs and events aimed at keeping seniors active, engaged and healthy through all the seasons of their lives. Want to learn more? Go here for more information or to schedule your visit.